Cincinnati Comic Expo – Friday through Sunday at the Duke Energy Convention Center. Total family fun for all age groups. Tell the kids you’re taking them without letting them know that you really want to attend the expo. Oktoberfest Zinzinnati – Friday through Sunday on 5th Street downtown. Food, fun and ……beer. Cincinnati tradition complete with wiener dogs racing at Fountain Square to the World’s Largest Chicken Dance. 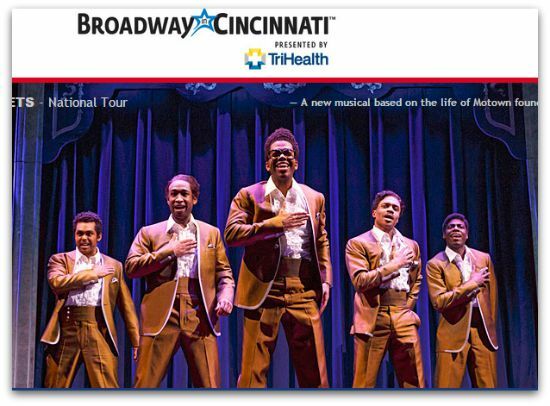 Motown the Musical at the Aronoff- last show Sunday evening. Sell out crowds, rave reviews and nostalgia tied to Motown Music. What’s not to like about 3 hours of great music. Cincinnati Bengals -Sunday @ 1pm. Finally last but not least the first home game for the Bengals. Tailgating crowds will be in their full glory kicking off the season. Lots of other activities going on not only in downtown Cincinnati but throughout the area. Sometimes the locals’ need a reason to head downtown and this weekend’s events offers something for everybody.